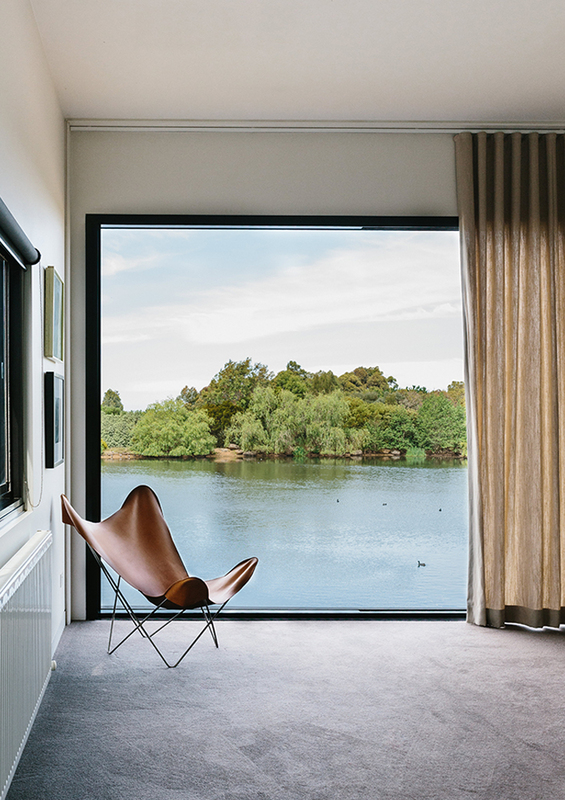 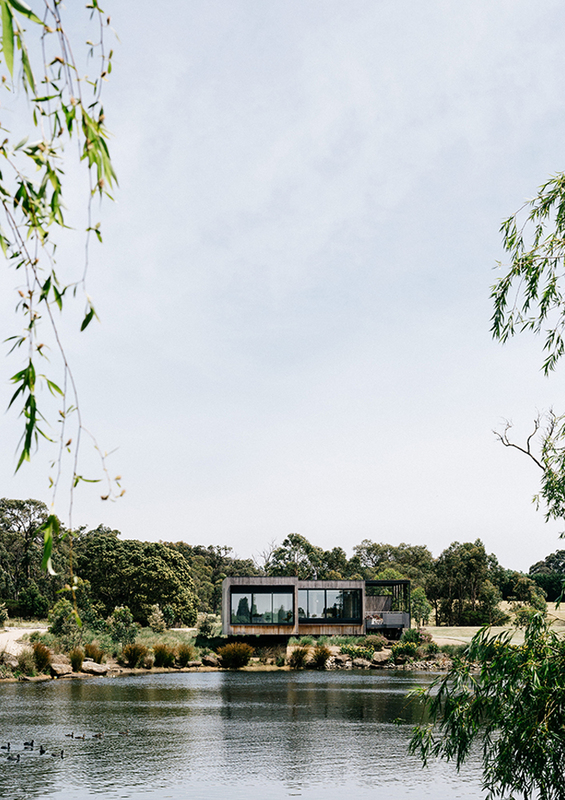 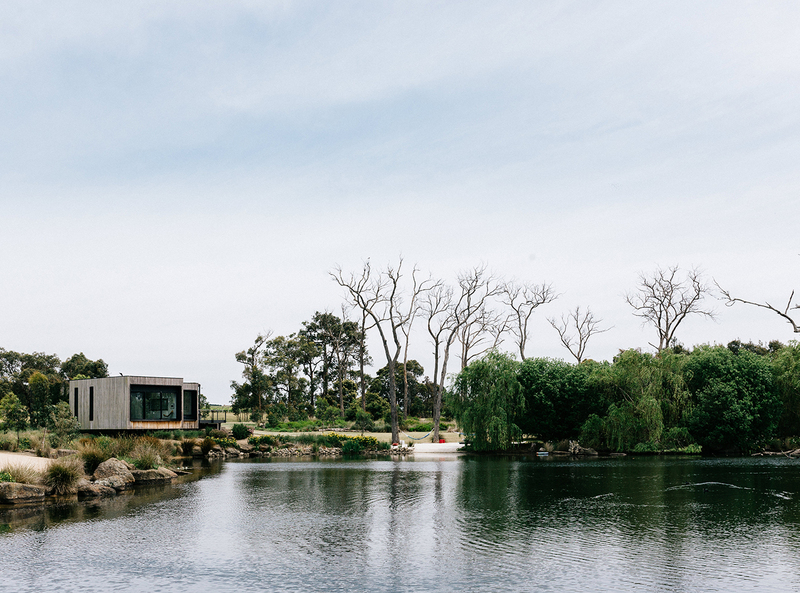 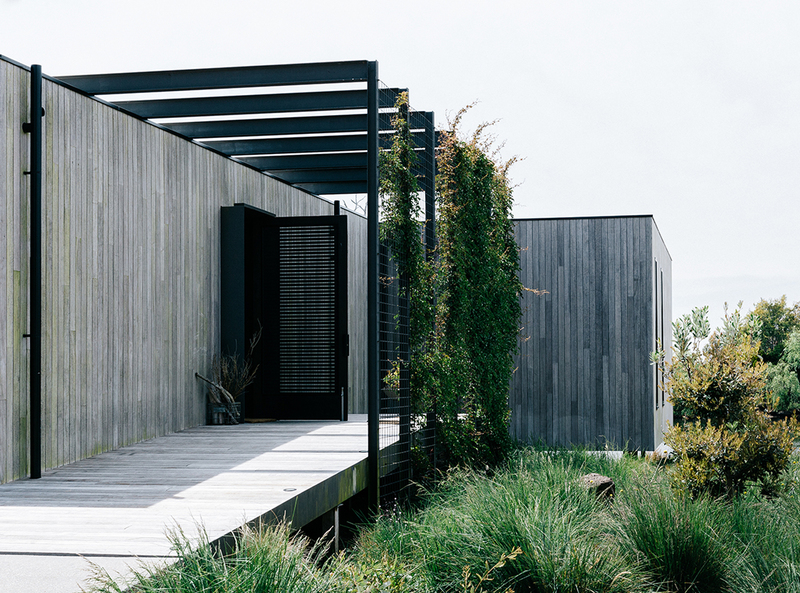 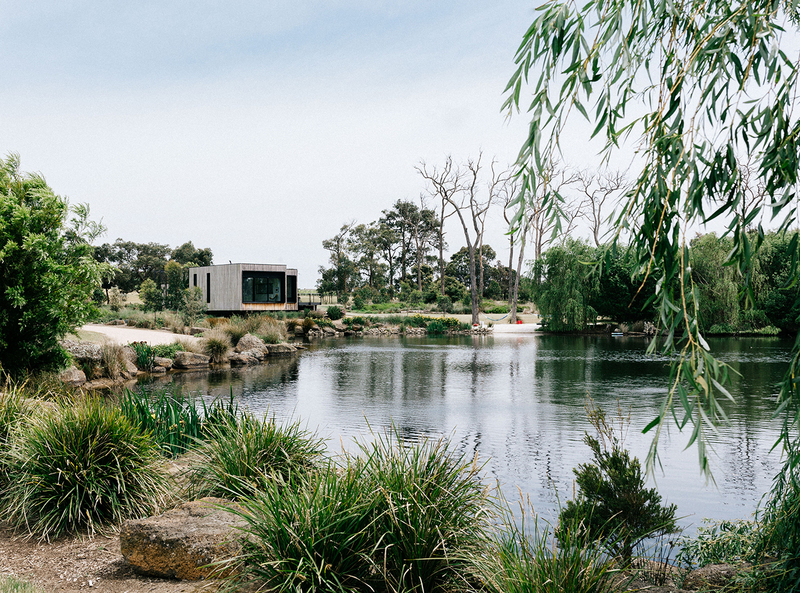 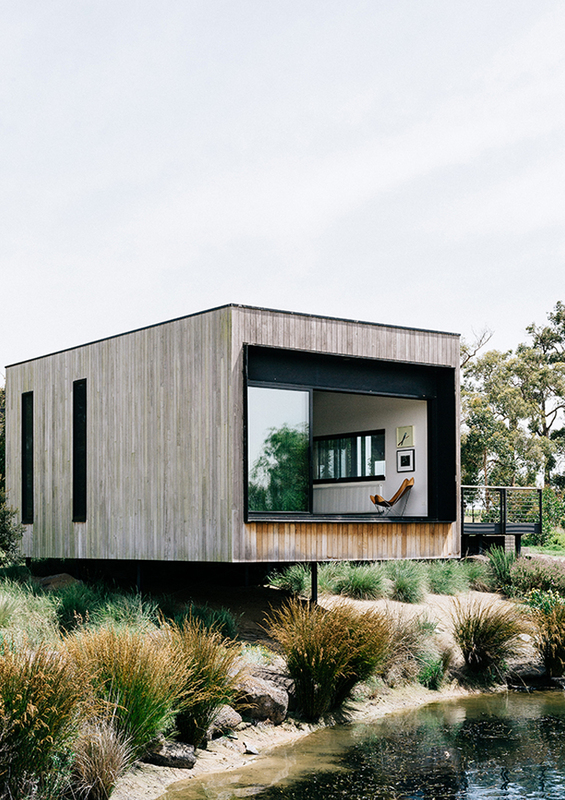 Located on a greenfield site and surrounded by grape vines, Peninsula House was envisaged as a series of restrained timber-clad volumes framing views onto a picturesque lake. 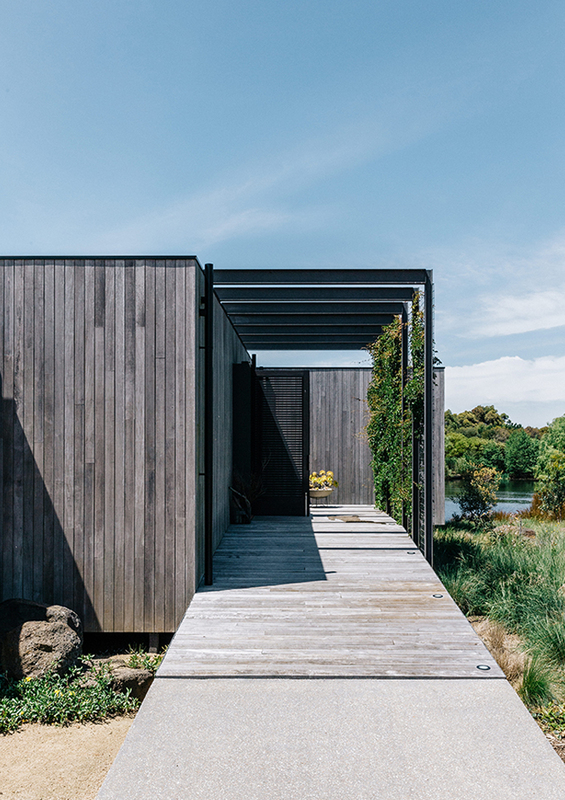 The three volumes provide three separate areas of accommodation: the children’s bedrooms, the family living zone and a parents’ retreat. 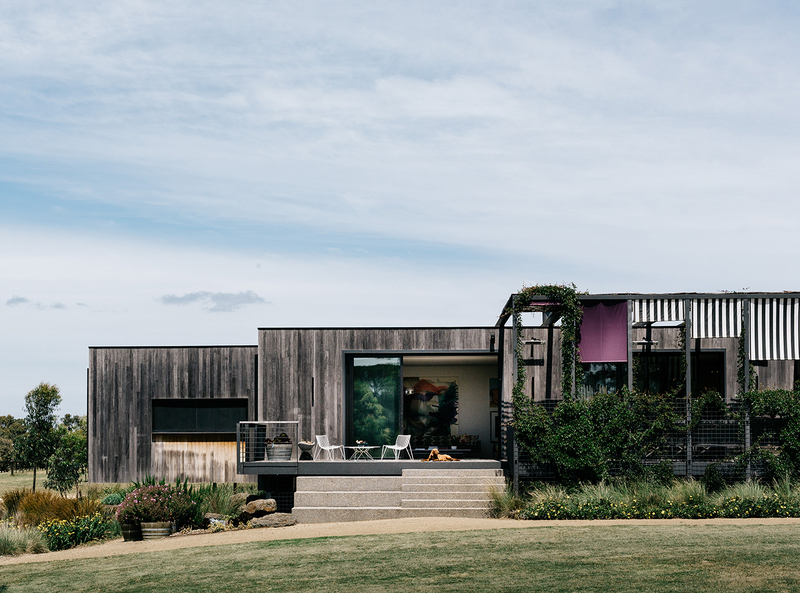 A spider-like frame perches atop the central living area, linking the entry with the north facing private deck. 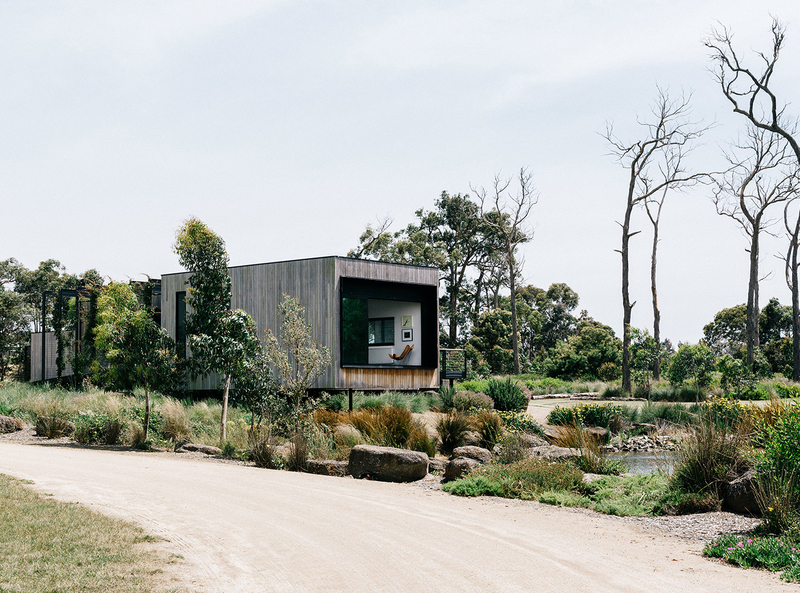 Following the success of this project, planning is currently underway for a separate guesthouse.